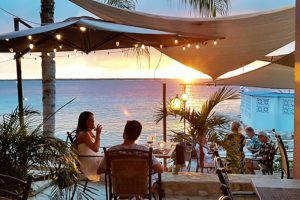 Dining on Bonaire is truly an international experience! Bonaire offers award winning cuisine with a multitude of nationalities, tastes and styles represented. Just imagine eating exotic cuisine on one of our beaches! 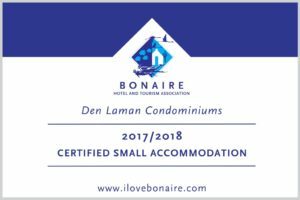 This is what Bonaire is all about, providing that intimate experience found nowhere else. On Island the cuisine of myriad ethnicities is represented. They include Dutch, Colombian, Chinese, Italian, Surinam, Indonesian, French, German and more. Delicious kuminda krioyo (local food) consisting of different types of stews, fresh fish, funchi, rice and more is also available. In addition to great foods, most restaurants offer full bars with wine offerings from all over the world. Homemade desserts are found in restaurants and different bakeries around Bonaire. Restaurant prices on Bonaire vary from US$16.00 for a delicious pizza or pasta to US$25.00 for a Catch of the Day.